Blue Critical Auto from Dinafem are autoflowering seeds that are originated by crossing the Critical+ x Blueberry. These cannabis plants contain mainly Indica genetics. 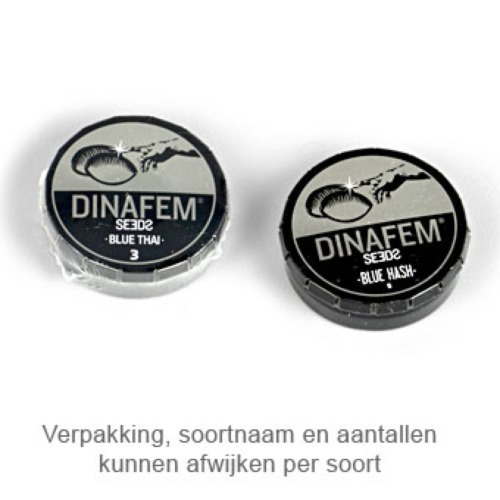 Dinafem Blue Critical Auto are cannabis seeds that are appropriate for an indoor grow and outdoor grow. These cannabis plants are easy to grow, have a quick flowering period and produce thick solid tops that are covered with a layer of THC. By smoking this weed you taste a nice sour flavor with elements of fruit. The effect of smoking this cannabis is very powerful and mainly touchable in your head. These autoflowering seeds can be used by everyone that wants to grow a nice and delicious cannabis. Tell us and our customers what you think of the Blue Critical Auto from Dinafem.